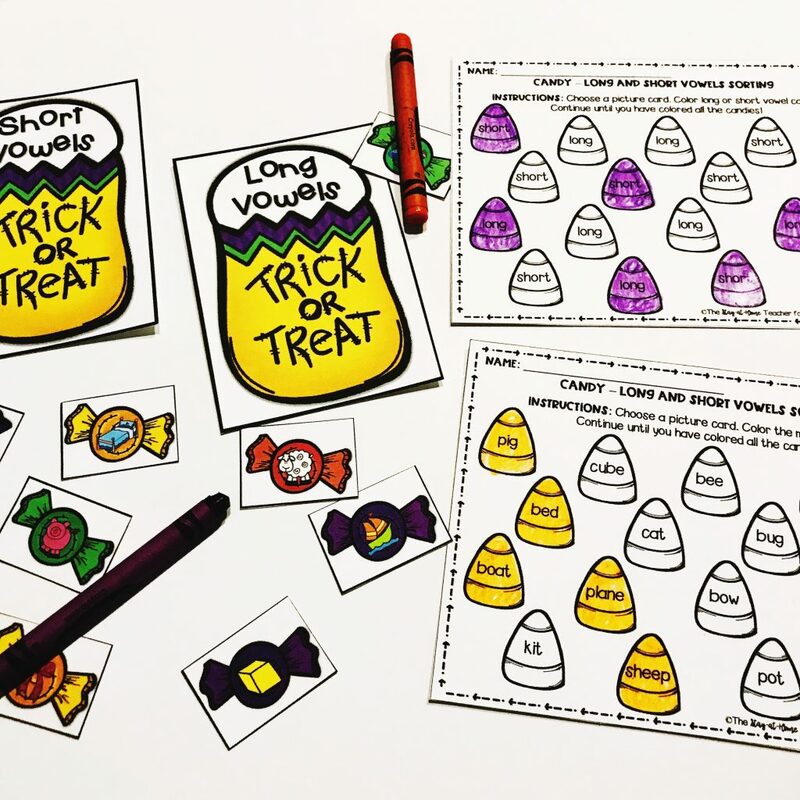 Trick or treat season is here, and I have some tricks AND treats for you! 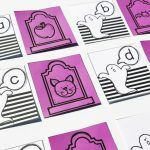 This fun Halloween sensory bin is a perfect way to “trick” your students into learning while having a blast! 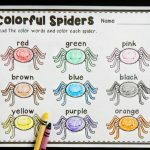 *Pair this with our Halloween Centers for tons of fun this month! My favorite black beans are back! I love the way these spunky Halloween colors pop in the shiny black beans. If you don’t already have some, then you have to grab a few bags. These black beans have lasted nearly a year with my almost 3 year old, and were just around $2. That’s definitely a treat in my book! Are you ready for a trick? If your little ones still need big cards to pick from their bins, then the original size of these pages is perfect. But, if they’re ready to work their little muscles even more, try printing 2 per page! Not only does this save on paper and ink, it makes the cards an even smaller target to practice with. 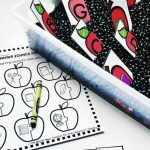 In addition, they fit perfectly inside an inexpensive pencil box! Simply fill the pencil box with black beans, hide the cards, and you’re ready to go! 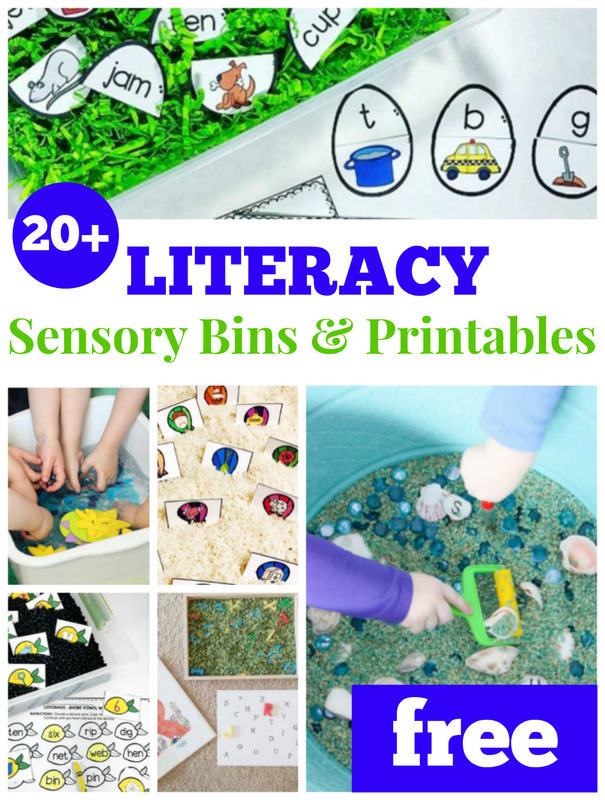 This is so fun as a sensory bin, but also work perfectly as a stand-alone center! 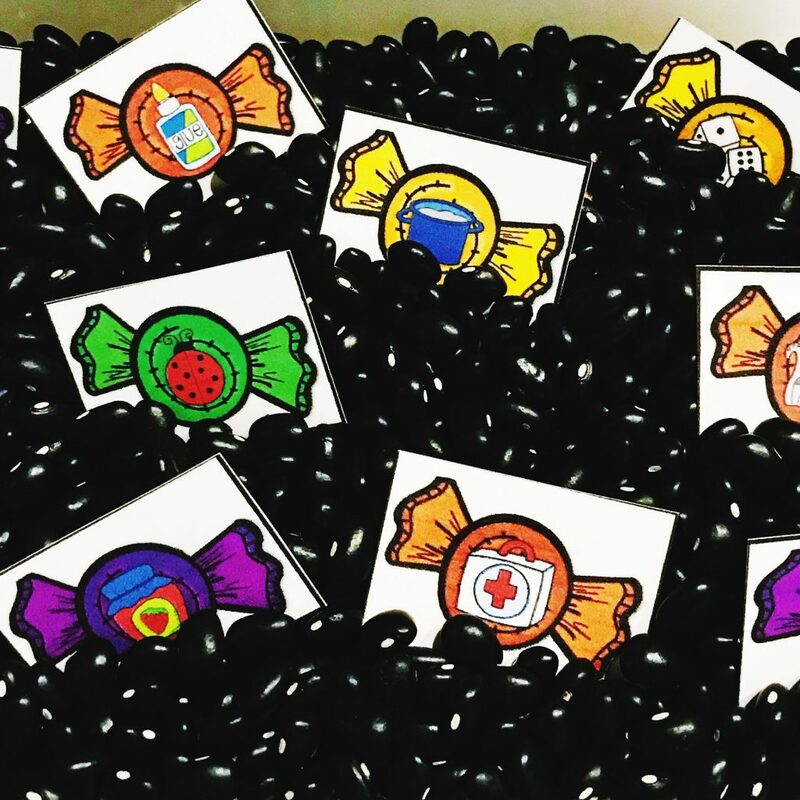 First, hide the candy cards in their sensory bin, or spread them out on the table/floor. 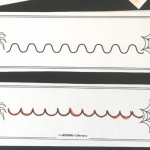 Then, choose from one of the 3 recording sheets for your students to practice with. 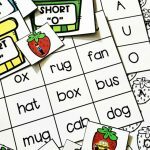 Students can record vowel sounds, words, or “long/short” vowels. 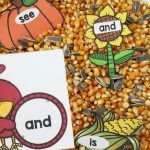 Finally, students pick cards from the sensory bin or spread out cards and identify the pictures they see. 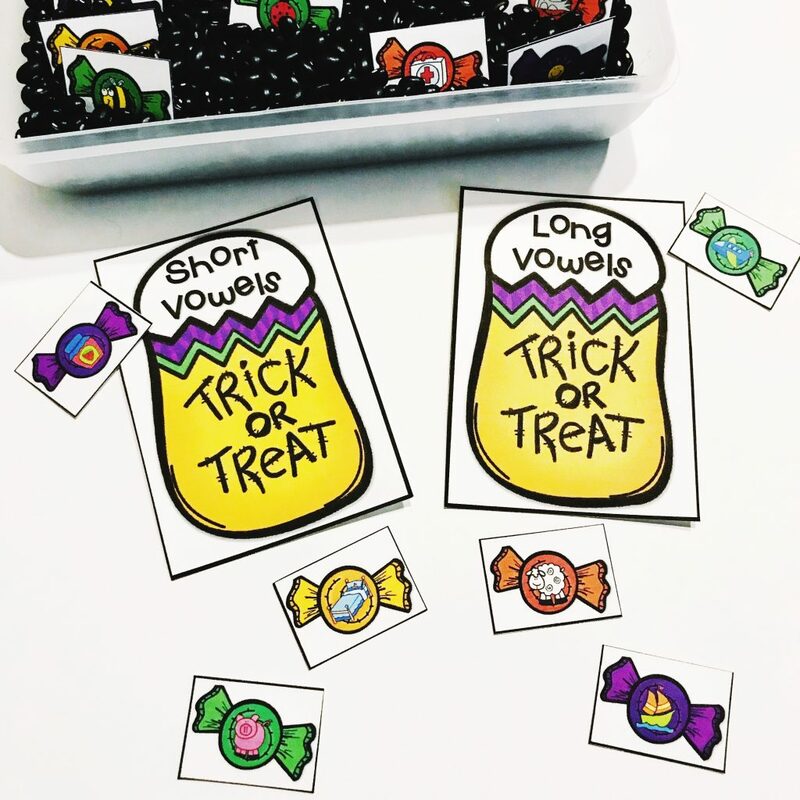 Long and short vowels were a skill we constantly practiced in my classroom. 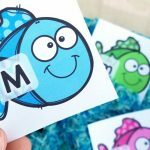 Mixing up practice throughout the year with sensory bins is such a fun way to combine fine motor practice and help your kiddos get excited about what could be monotonous practice! 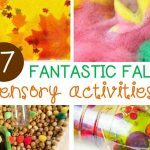 Ready to play with this Halloween Sensory Bin? Grab your copy of the printables by clicking the blue button below. 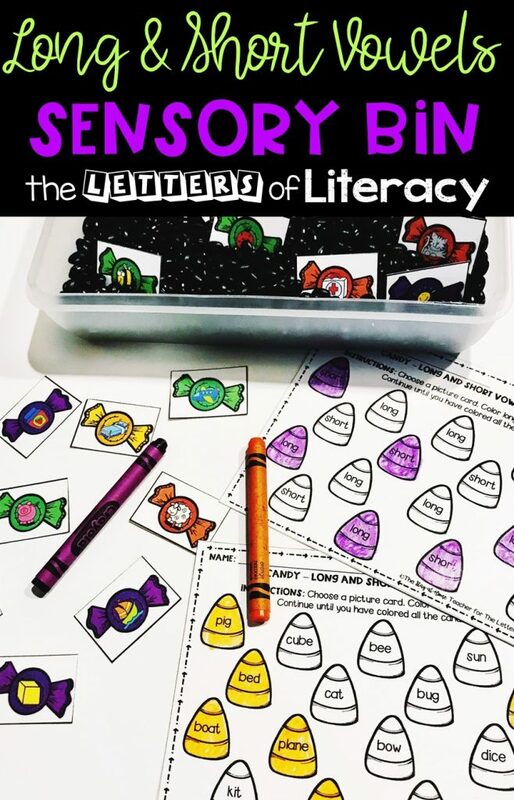 Then, hop over and check out all of our literacy sensory bins for the year!